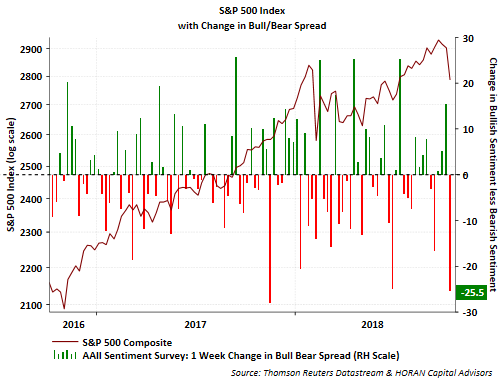 Although the bullish sentiment experienced a large decline, the level of bullishness at 30.6% falls within the plus or minus one standard deviation range. In other words, the low level of bullishness is not at an extreme and the 8-period moving average confirms this as well. 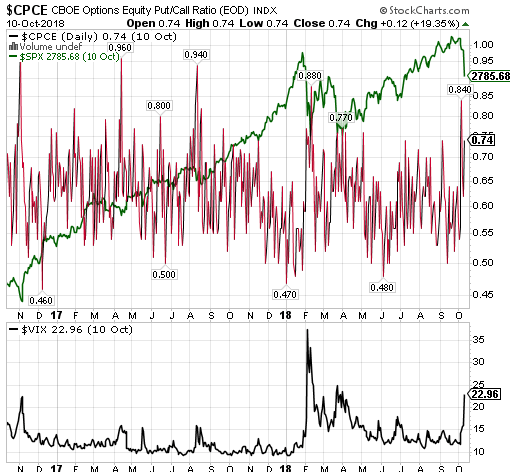 In a post last weekend I noted the CBOE Equity Put/Call ratio was nearing the 1.0 level at .84. Yesterday the put/call ratio closed up on the day, but remains lower than the .94 level from last Friday. 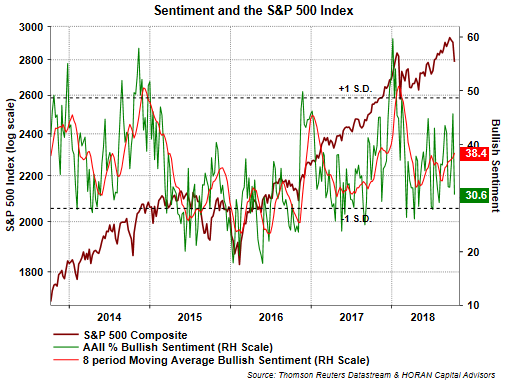 These sentiment measures are contrarian ones and most actionable at their extremes. At the moment though, an extreme low level of bullishness does not seem present.